It is easy to forget just how much of a whopper Ireland’s bubble was. But my focus is on the post-crisis investment opportunities created in Ireland as a result. 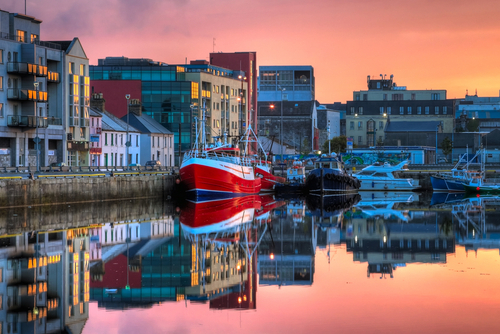 In short, I’m bullish on the Emerald Isle, and I have a way for you to invest there. First, I want to give you some memorable snapshots of how crazy things got at the heights of 2006…and also in the depths of November 2010. You may remember Michael Lewis’ story on Ireland, “When Irish Eyes Are Crying,” in Vanity Fair in March 2011. As he noted, by 2006, a fifth of the Irish workforce was building houses. The construction industry alone grew to become a quarter of the whole economy — compared with 10% for a “normal” economy. Ireland was building half as many houses as the UK, which had 15 times more people. And the price of an average house in Dublin soared 500% from 1994 to 2006. “In parts of the city,” Lewis wrote, “rents had fallen to less than 1% of the purchase price. That is, you could rent a million-dollar home for less than $833 per month.” That’s a price-earnings ratio of 100 times on Irish homes! There is much to like about Ireland. And investors have swooped in to pick up bargains. Irish commercial property prices, for instance, have fallen 65% since their peak in 2007. Dublin office space now yields a relatively plump 7%, and retail space pays 6%. The preferred way into this market is to buy bank debt from Ireland’s distressed banks. For a time, Irish banks were reluctant to shed Irish property at discounts. Instead, they sold off non-Irish property loans first. But now, they are selling Irish property aggressively. In October, Lone Star, a private equity group, picked up $600 million in loans at a 60% discount off the face value of the notes. Kennedy Wilson, which so far is the biggest private equity investor in Irish assets, is one of several groups that invested $1.44 billion to rescue the Bank of Ireland from state control in mid-2011. It also bought the bank’s real estate investment management business, as part of a rapid expansion of its European operations. “These deals enabled Kennedy Wilson to get under the bonnet at the bank and helped it to cherry-pick some of the best assets,” says one Dublin banker, who did not want to be named. It is gratifying to read these stories because this is exactly what I hoped might happen when I recommended the shares of Kennedy Wilson (NYSE:KW) one year ago to the subscribers of Capital & Crisis. The most interesting part of any cycle is the post-crisis cleanup. And that is KW’s métier in real estate. On the third-quarter call, CEO Bill McMorrow (the largest shareholder in KW), talked quite a bit about KW’s activities in Ireland. Of the $1.5 billion the company (along with KW’s equity partners) invested in the first nine months of the year, about a third of that was in Ireland. The first office building KW bought, Brooklawn House, had a yield of a little over 14% — and that was with no debt on the property. “And to give you a frame of reference,” McMorrow added, “that Brooklawn office building sold, rightly or wrongly, to investors in 2006 for $61.5 million. We bought it for $20 million. It is all playing out, I think, just as we felt it would when Matt [Windisch, EVP of Kennedy Wilson] and I made that first trip to Dublin two years ago,” McMorrow concluded. McMorrow has great instincts for this kind of thing. He snapped up distressed real estate in the midst of Japan’s bust…and then repeated the performance during the US bust of 2008 and 2009. I would cite his 2011 annual letter, in which he tells how he bought Kennedy Wilson in 1988 when it had 11 employees, one office in Santa Monica and a book value of $50,000. Today, KW has 23 offices and its book value is $510 million. That’s an annual growth rate of about 50%. (Keep in mind KW went public only in 2009 by acquiring a public shell.) I don’t think he’ll keep up that blistering pace of growth, but if he does even one third as well, shareholders should enjoy enviable returns. Where is McMorrow pointing KW’s bow next? Toward Spain. Stay tuned to the KW story. I think it is a good one.